Customers can receive up to €4,500 scrappage*, 3 years’ free servicing* or opt for low rate finance starting from 2.9% APR Finance*and also enjoy 5 year unlimited mileage warranty! With its extensive range there is a Citroën model to suit everyone’s wants and needs. The recently launched New C3 Aircross Compact SUV is the most spacious and versatile SUV in its class and with 85 personalisation combinations allows customers to be as bold and unique as they wish! 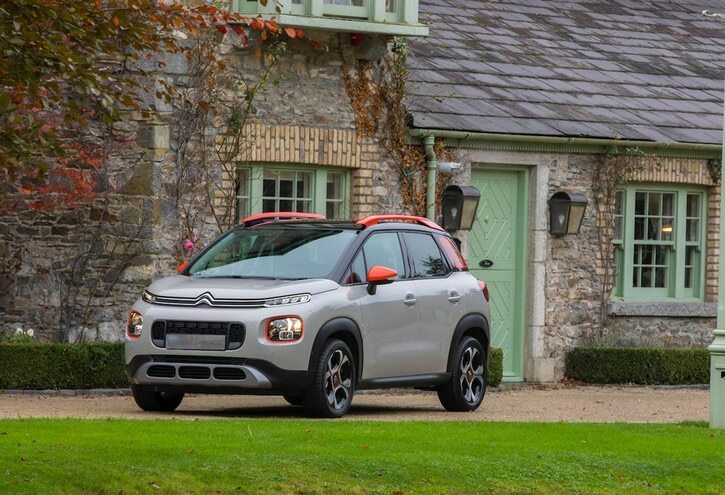 The Citroën C3, TopGear Magazines Best Urbanite Car of the Year and winner of over 30 othe awards across Europe to date, allows you to share your driving experiences while on the move with the Citroën Connected Cam. Families will love the space available in the multi-award-winning Citroën Grand C4 Picasso which has recently being upgraded offering an additional €1,600 worth of equipment including electronic tailgate and half leather trim. For those looking for something a bit quirky the C4 Cactus will get you noticed with its trademark Airbumps offering sylish lateral protection, perfect for tight parking spaces! For more information on the 181 offers and the award-winning Citroën range, click here or pop into your local Dealership today.